Before Angry Birds mania swept mobile device users everywhere, the masses were interested in words. The Scrabble-like Words With Friends app, that is. An upcoming new platform release for the game may prove that while pigs may be dying in droves, words are still alive and well. 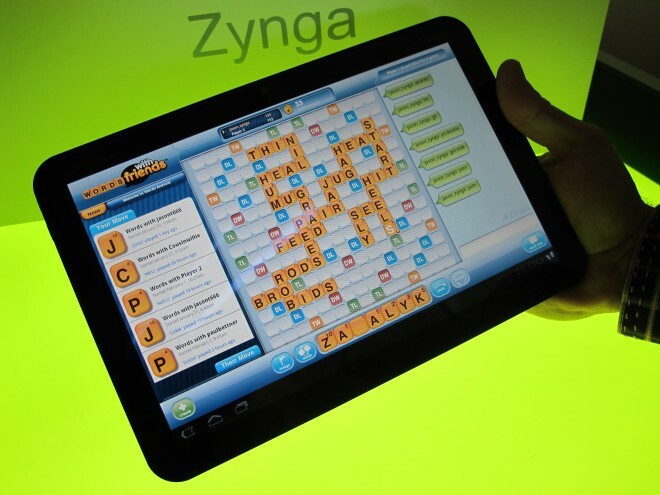 Previously exclusive to iOS mobile devices, the Scrabble-like Words is coming to the Android OS as soon as next week, says social game developer company Zynga. Playing the game on an Android device will be pretty much the same as if you played it on your iPhone, the company says. Now, people will also be able to play in the same game across both platforms. That means no more Droid lovers feeling left out while their iOS-using pals are geeking out on triple-word scores. Words With Friends on the iPhone/iPad platform has proven its immense popularity in the past. The app boasts 2.5 million daily active users, with over 10 million downloads since its creation. Currently supported by ads, the app is free for download from Apple’s app store. A paid version with no ads displayed will be coming soon to the Android Market and Apple app store. But releasing the app on Android is not as simple as slapping a bunch of iOS code onto your Android phone. Leading a small team of three or four engineers, Thompson and his crew worked since October writing code in Java, the primary programming language for the Android OS. Knowing software update fragmentation across devices has been a serious issue for Android users, Tomlinson’s team made the Words app compatible with hardware running the most up to date 2.3 version (Gingerbread) all the way back to 1.6 (Donut). It will also run on Google’s yet to be released version 3.0 (Honeycomb), the version of Android optimized for tablets. Some transitions to the Android OS environment were easier than others. “The art ports over mostly seamlessly,” Words co-founder Paul Bettner told Wired.com. “Same with the sounds we use. And the same set of servers on the back end are supporting both iOS and Android users,” Bettner said. But when Bettner founded Newtoy Inc., the developer studio that created Words, in 2008, the whole studio was focused on iOS coding, and has continued to be until last year. Help came in the form of Tomlinson, who has worked with Google on Android since the open-source code’s inception. Tomlinson worked with the existing engineers to help acclimate them to coding in Java rather than the Apple-preferred language, Objective-C.
With the success of the iOS version of the game in mind, Zynga is preparing its servers for “the most optimistic projections” of new user adoption rates, says Bettner. If the game takes off for the Android OS, it’s probably not a stretch to expect other big cross-platform releases in 2011.